Located in the centre of South America, Bolivia was the main source of Spain’s wealthy economy in the past, yet now it is one of the poorest nations in Latin America. The current government of Bolivia has nationalised the most productive export industries under a socialist economic system. They are seeing some improvement in the economy, yet remain open to foreign aid and development work. 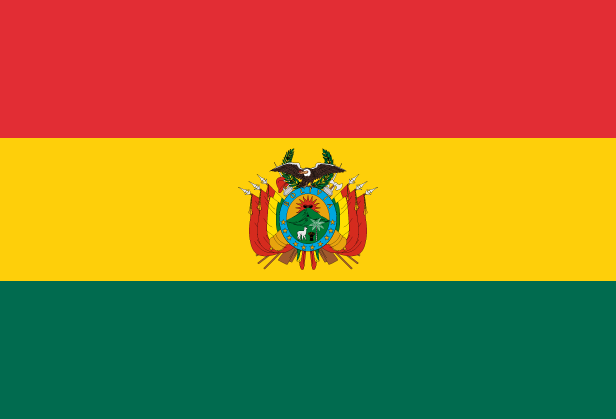 Bolivia gained independence from Spain in 1825, though Spain has left its mark on Bolivia’s language, culture and religion. The Catholic Church remains the State Church. There are continuing debates over religious freedom and the separation of Church and state in the country. The current government has rewritten the constitution to recognise both God and Pachamama (the earth-mother) as official Bolivian deities. Religious freedom has been constitutionally guaranteed for at least sixty years. The most rapid growth among Protestant churches has occurred among the indigenous Quechua and Aymara, though there has been an increasing drift back to traditional animism in recent years. Pray that the Lord would break down spiritual walls across Bolivia and that many would turn from the wrong path and onto the way of Jesus. Give thanks for MOCLAM’s partnership with ECAMM (a mission training program) and pray that MOCLAM would help equip ECAMM’s Latin American missionaries-in-training to preach the gospel faithfully and clearly. Pray for opportunities for MOCLAM to expand its networks in Latin America and that pastors would encourage the theological training of leaders in their churches.